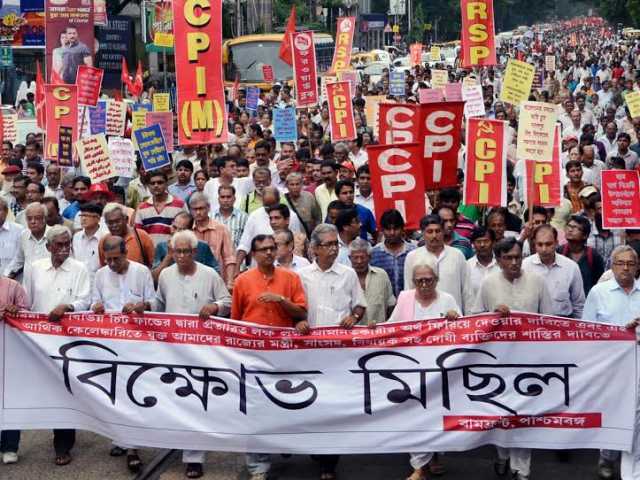 Tens of thousands of people marched through streets of Kolkata on September 22 demanding punishment for the fraudsters and beneficiaries in the Chit fund scam. 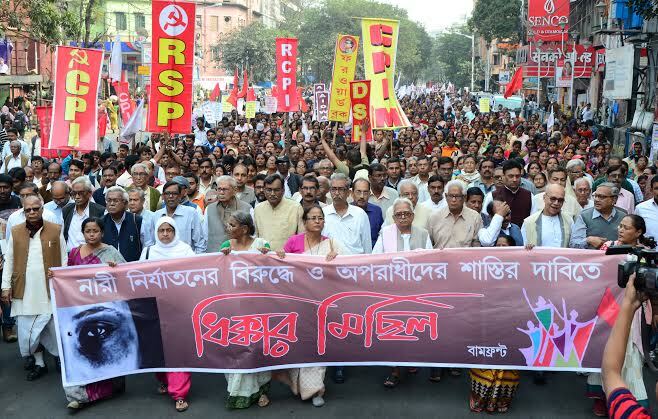 In one of the largest mobilizations in the recent period, people from all walks of life joined the march called by the Left Front. 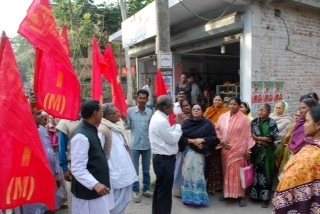 It was to demand compensation to the depositors who were cheated of their life long savings in Sardha and other chit fund frauds and trial and punishment of all those accused in the scam including the TMC leaders. 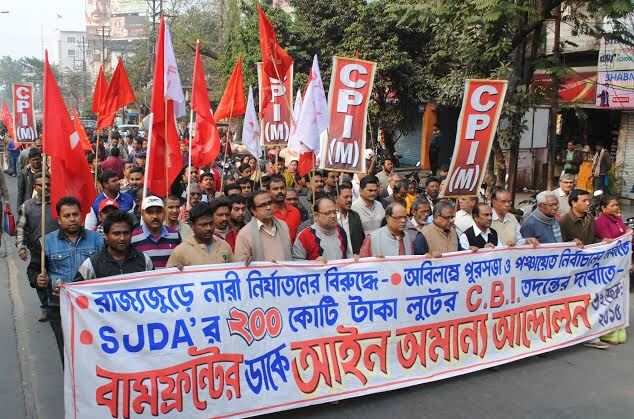 The rally also expressed its solidarity with the struggling students of Jadavpur University and the struggling taxi workers. 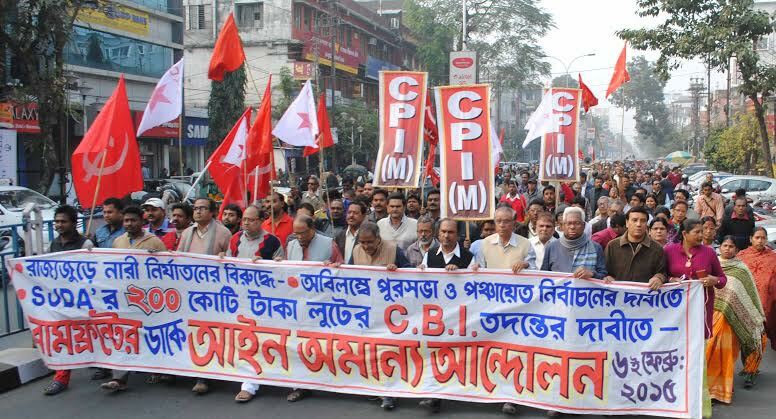 The procession started from Ramlila Park in central Kolkata and marched through AJC Bose Road and ended in Park Circus. Slogans like “Sardha Government No No”; “Symbol of honesty has been exposed as symbol of Sardha”; “Gali Gali mein shor Hai, Mamata Banerjee Chor Hai” rendered the air. 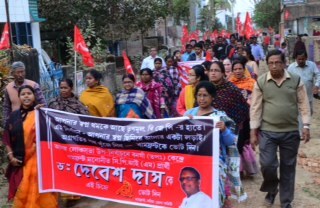 Biman Basu , Suryakanta Misra and other Left Front leaders led the procession. 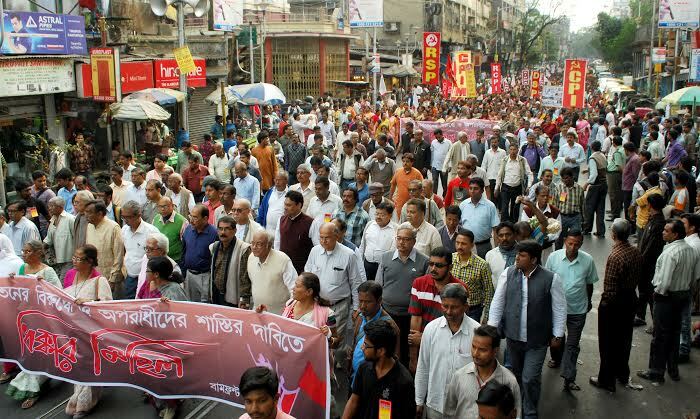 Addressing the public meeting held at the conclusion of the procession, Biman Basu announced that after the festivals are over, more militant actions will follow. 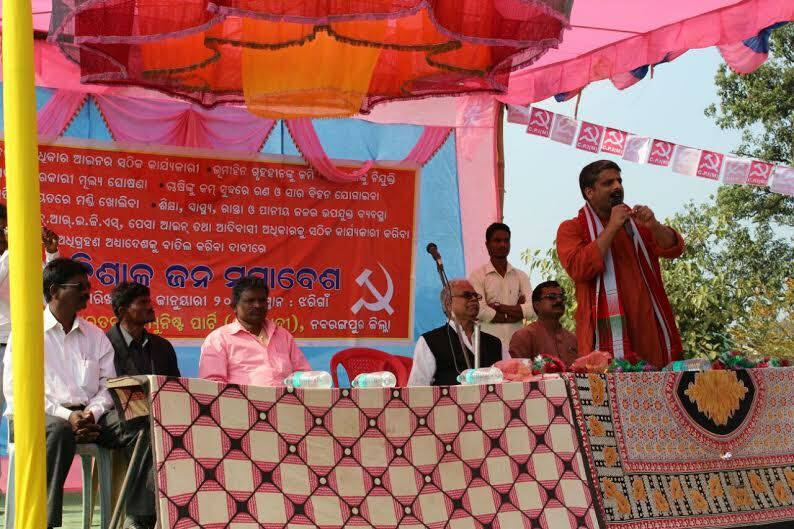 Misra demanded that those who benefitted from the Sardha scam, should be brought to book and compensation should be given to depositors by seizing the assets of the beneficiaries. 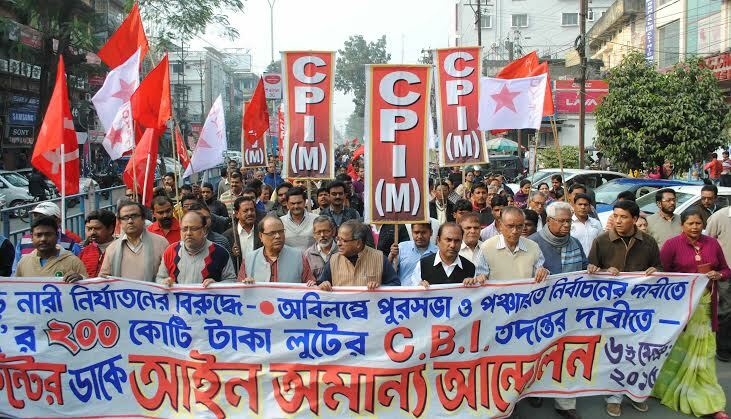 Misra also urged upon the CBI and other central agencies to conduct investigations impartially and without bowing to political pressure. 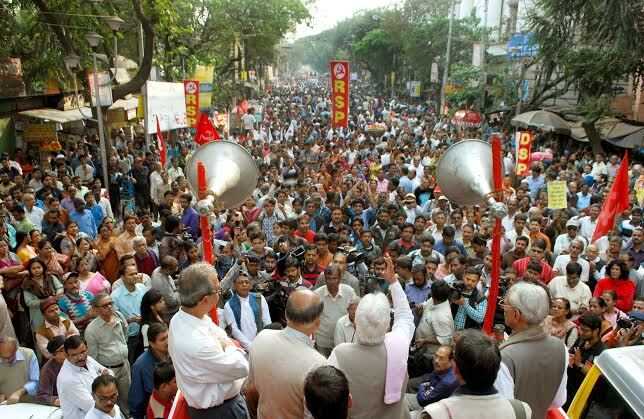 On the Jadavpur University movement, Left Front leaders demanded the immediate resignation of the Vice Chancellor who called the police inside the campus which led to the police assault and injuries to many students.